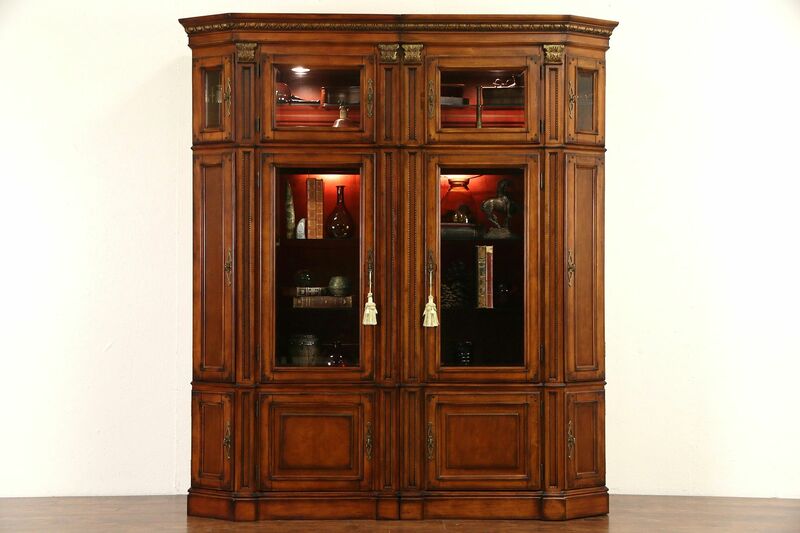 About 15 years old, a traditional cherry curio display cabinet also holds electronics. The original finish is in very good condition on this vintage furniture. Glass is beveled, doors have square pegs at the joints and there are carved deep gold highlights. Hardware is original, built in trays hold CD's. This cabinet can be unbolted into four separate sections. Interior shelves are adjustable. Overall size is 75" wide, 22" deep and 84" tall.